Joe Nemechek earned the nickname “Front Row Joe” from his former teammate, broadcaster Wally Dallenbach, in the late 1990s because he was often in contention to qualify up front. Find out more about this driver/owner in this week’s Fast Facts. Joseph Frank Nemechek III was born September 26, 1963 in Lakeland, Florida. He began racing motocross at age 13, winning more than 300 events in just six years. In 1986, he switched gears to stock cars, winning races throughout the country. In 1989, Nemechek made his Busch Series (now Nationwide Series) debut at North Carolina Speedway, better known as “Rockingham,” finishing 33rd. In 1990, he raced full-time in the series, winning Rookie of the Year honors. In 1992, he beat Bobby Labonte by three points to win the Busch Series title. In 1993, he made his Cup Series debut at New Hampshire Motor Speedway. After moving his own NEMCO Motorsports team to the Cup Series in 1995, Nemechek went on to race for SABCO Racing from 1997 to 1999, picking up his first Cup Series win in 1999 at New Hampshire. Over the next few seasons, Nemechek drove for Andy Petree Racing, Haas-Carter Motorsports, MB2 Motorsports, Hendrick Motorsports, Ginn Racing, E&M Motorsports and Furniture Row Racing before bring the NEMCO team back to the series. Nemechek currently is running for Nationwide Series points, sitting 11th in spite of missing one race. He also continues to run in the Sprint Cup Series as much as possible. Nemechek has four Cup Series wins and 10 poles. In the Nationwide Series, he has 16 wins and 18 poles. Nemechek’s younger brother, John, died from injuries suffered in a driver’s-side crash during a Truck Series race at Homestead-Miami Speedway in 1997. He died five days after the event, on March 21, just nine days after his 27th birthday. 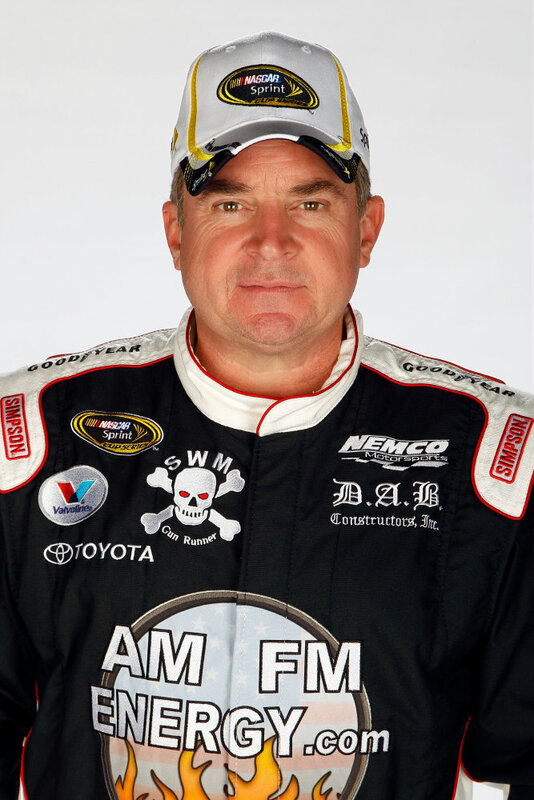 Find out more about Joe Nemechek at his website, www.joenemechek.com. I guess when you live by the sword, you die by the sword. Still, accidents are part of the sport and the passing of legends like this shouldn't stop aspiring rookies from going to see if they can be as good as he was.